Bikaner is famous for colorful bazaars, heritage mansions, narrow streets and traditional neighborhoods. It is a wonderful experience to explore this old city’s Havelis and animated street culture by foot. Rajputana India Tours designed this heritage walk in Bikaner to explore this dust-swirling, vibrant desert town. The beauty of this town has been enriched with ancient temples, havelis, sand dunes, palaces and forts. 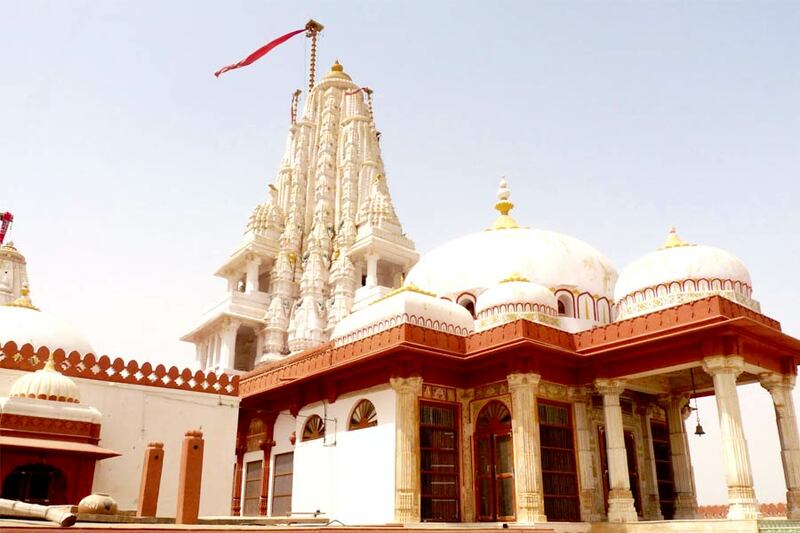 The tour will with an auto rickshaw ride up to the Jain Bhandasar temple and climb the first floor of this temple to enjoy a panoramic view of the old city. 1. Visit Jain Bhandasar Temple – This temple was commissioned in 1468 by Bhandasa Oswal, a wealthy merchant. Being an architectural masterpiece, this temple has a mahamandapa, a garbhgriha, an ardhamandapa and an antarala. 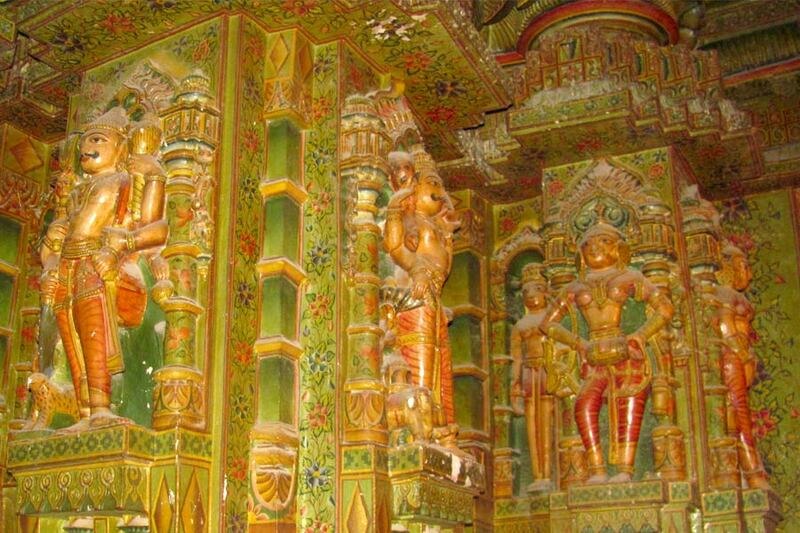 It also has paintings adorned with gold leaf patterns on the walls and pillars of the sanctum and mandapa. 2. Vegetable market – This market is very famous for vegetables and fruits. Many tourists visit this market to see the culture of Rajasthan. You can easily get fresh fruits and vegetables for healthy diet and fit body. 3. Tea market- You can see different varieties of tea which are available in this market. The tea includes white tea, green tea, oolong tea, black tea and pu-erh tea. You can also find shops to taste them to enjoy the real flavor of them with your family or friends. 4. Spice market- This is one of the biggest markets in Bikaner and different types of spices are available in this market. You can find all types of cooking spices (Masale) in this market. There are many shops of manufacturers, dealers, distributors and suppliers of spices. 5. Bangle market – The bangle market of Bikaner are made from plastic, wood and metal. Bangles are the traditional ornaments worn by women in India. You can find bangles of different colors like red, blue, green and many others in this market. 6. Visit Rampuria Street, which is famous for the traditional red sandstone havelis. While visiting this street, you will experience the real culture of Rajasthan. These havelis are very old and has narrow lanes that feature different street fascades. 7. At the end, enjoy a tea break at one of the beautiful havelis that has been converted into a heritage hotel. This monument will have different types of paintings and you will surely get a wonderful chance to experience the real culture of this desert state of India. Please Note: This heritage walking tour will start from the Jain Bhandasar temple at 10 am and ends after duration of 2 hours.